How is Social Security Taxed? 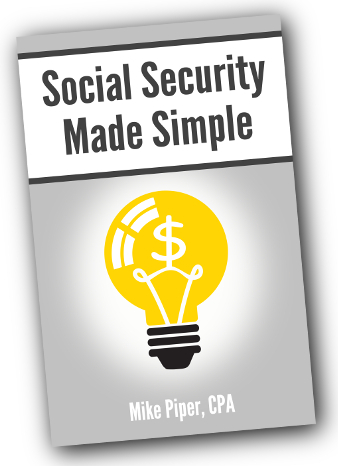 The following is an excerpt from my book Social Security Made Simple: Social Security Retirement Benefits and Related Planning Topics Explained in 100 Pages or Less. 50% of your Social Security benefits. If your combined income is below $25,000 ($32,000 if married filing jointly), none of your Social Security benefits will be taxed. For every dollar of combined income above that level, $0.50 of benefits will become taxable until 50% of your benefits are taxed or until you reach $34,000 of combined income ($44,000 if married filing jointly). Important note: To say that 85% of your Social Security benefits are taxable does not mean that 85% of your benefits will disappear to taxes. Rather, it means that 85% of your benefits will be included as taxable income when determining your total income tax for the year. How Does This Affect Tax/Retirement Planning? The big takeaway of the above calculations is that, once you start collecting Social Security, your marginal tax rate (that is, the total tax rate you would pay on each additional dollar of income) often increases dramatically. That’s because, if your “combined income” is in the applicable range, each additional dollar of income is not only taxed at your regular tax rate, it also causes an additional $0.50 or $0.85 of Social Security benefits to be taxable. This dramatic change in your marginal tax rate often creates significant tax planning opportunities. For example, if you haven’t yet begun to collect Social Security and you realize that your marginal tax rate will increase once you do, you may benefit from funding most of your current spending via withdrawals from tax-deferred accounts (as opposed to taxable accounts or Roth accounts), thereby allowing the withdrawals to be taxed at your current, relatively-lower tax rate, and thereby preserving your Roth accounts for funding spending needs in the future when your tax rate will be higher. Or you might even want to take it one step further by converting a portion of your traditional IRA(s) to a Roth IRA in the years of retirement prior to collecting Social Security. Or, if you are already collecting Social Security, once your combined income nears the range where Social Security benefits will start to become taxable, you may want to fund the rest of your spending (to the extent possible) with assets not from tax-deferred accounts (so as to stay below the range where your benefits would become taxable). Alternatively, if your combined income is already near the high end of the range in question (such that most or all of your benefits are 85% taxable), it may make sense to withdraw more from your tax-deferred accounts (perhaps just enough to put you up to the top of your current tax bracket) so that you can withdraw less next year, thereby allowing you to stay in the range where your benefits will not be taxable. Depending on how high your “combined income” is in a given year, your Social Security benefits could be nontaxable or partially taxable (with a maximum of 85% of them being included in your taxable income for the year). If it looks like your marginal tax rate is going to increase sharply once you start collecting Social Security, it may make sense — in the years prior to collecting Social Security — to fund much of your spending from tax-deferred accounts (and potentially execute Roth IRA conversions) to take advantage of the fact that your tax rate is lower than it will be in the future. Once you start collecting Social Security, you may be able to reduce your overall tax bill by carefully planning which accounts you spend from each year (tax-deferred as opposed to Roth as opposed to taxable) so as to minimize the portion of your Social Security benefits that will be taxable. *These are the general rules. 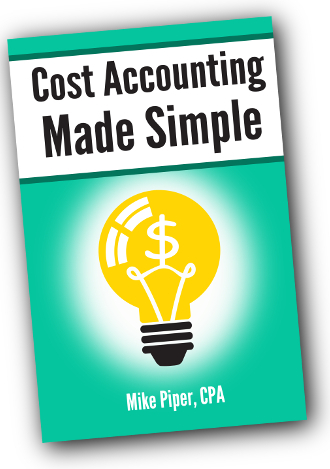 As with so many aspects of the tax code, there are exceptions. For more information, see IRS Publication 915.